Holiday bookings are from Friday to Friday. 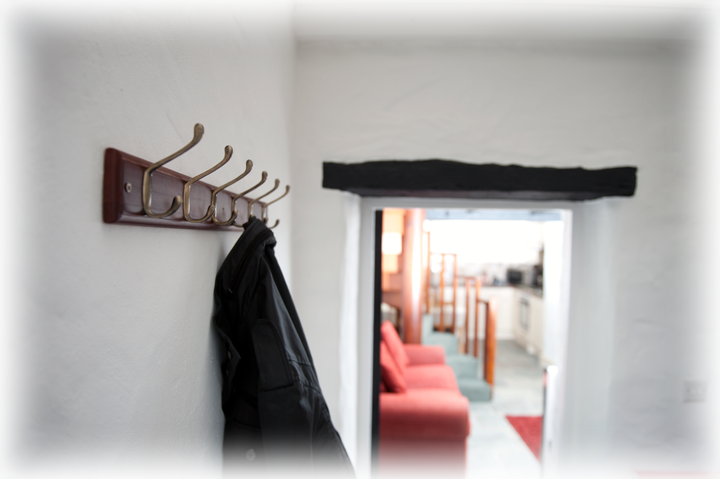 No 2 Ivy Cottage ('the Cottage') is available from 3pm on the day of arrival. Please vacate the Cottage in a clean and tidy condition by 10am on the day of departure. All bookings must be accompanied by a payment of £50 deposit per week. The remaining balance of the total cost of the holiday will fall due 28 days prior to the first day of your holiday. For holidays booked within 28 days of your day of arrival, the cost of the holiday, in full, will become immediately due. The Cottage must only be occupied by the guests named on the Booking Form and all bookings are non-transferable (unless by prior arrangement with the proprietor). Bookings will only be taken for occupancy by couples and families. Well-behaved dogs are welcome to stay at the Cottage at an additional charge per dog, provided they are under control and are never left unattended on or in the property. We ask that dogs are not allowed on the beds and furniture. All towels and bed linen (except cot linen) will be available for use free of charge. We cannot be held responsible for any loss, damage or injury sustained by guests or their property, however caused, during their stay at the Cottage. Guests must notify the proprietor immediately of any damage or breakages caused to either the Cottage or its contents. During their stay at the Cottage, guests must permit the Proprietor or person(s) authorised by the Proprietor, reasonable access to enter, inspect and where necessary, repair the property. Guests must not do or permit to be done, anything that may be or become a nuisance, annoyance or cause of damage to the Cottage, the proprietor, or neighbouring property. At all times during their stay, guests must use the Cottage as a private holiday residence and must not part with possession of any part of the Property or its contents. Under no circumstance must the Cottage be assigned or under-let; and the guests acknowledge that no statutory or other assured tenancy shall arise. If for any reason beyond the Proprietor's control, the Cottage (or any part of it) is not available during the days booked (owing to fire or water damage for example), or the Cottage is otherwise unsuitable for holiday letting, all charges (or a reasonable proportion thereof) paid in advance by the guests will be refunded in full. However, the guests shall have no further claims against the Proprietor. Should guests need to cancel a booking, the following must occur:- 1) the guests must immediately notify the Proprietor in writing of their need to cancel; and 2) the Proprietor will then make all reasonable efforts to re-let the Cottage and will (in any event) retain the deposit plus 10% of the whole costs of holiday as a handling charge. If the Proprietor fails to re-let the Cottage within 28 days of the holiday commencement date, the guests will become liable to pay the balance in full. We strongly advise that you take out holiday insurance in case of such an eventuality. There is a no smoking policy within the cottage and sun lounge. Thank you for your cooperation.